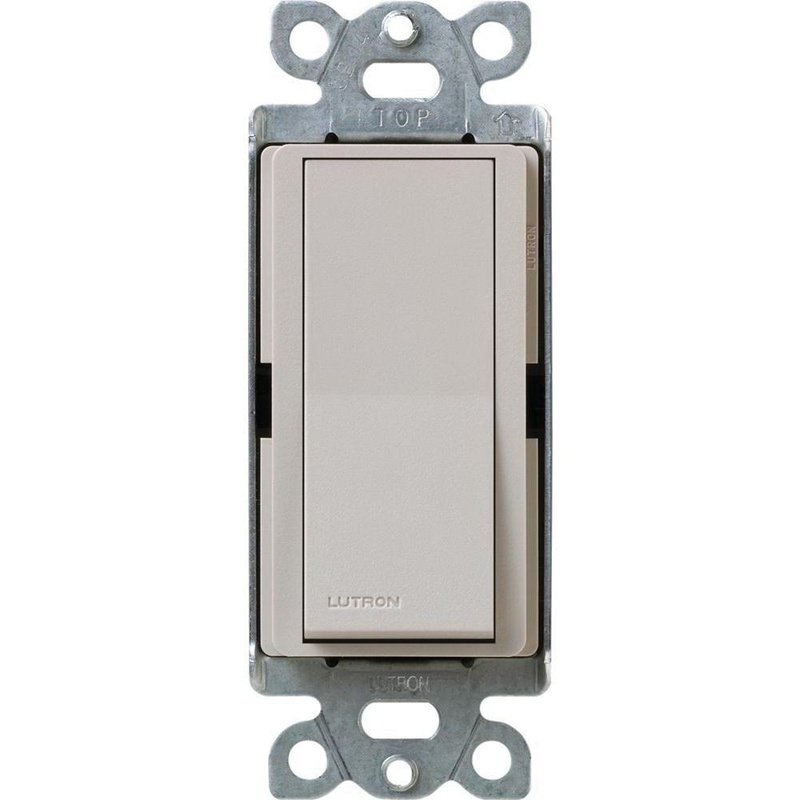 Lutron Standard General-purpose switch in taupe color, has voltage rating of 120/277-Volts and current rating of 15-Amps. It is great for general-purpose switching of all sources and motor loads. This 1-Pole switch has satin finish for longer endurance. It measures 4-Inch x 1.25-Inch x 1.75-Inch. This grounded switch support side-wiring for making installation easier. Switch is UL listed and CSA/NOM certified.